MAPLETON (NEWS CENTER Maine) -- You'll find a lot of farms in The County where, this time of year, the potato harvest has already wrapped up. Buck Farms in Mapleton is just one of those farms, where three generations have grown up and worked. 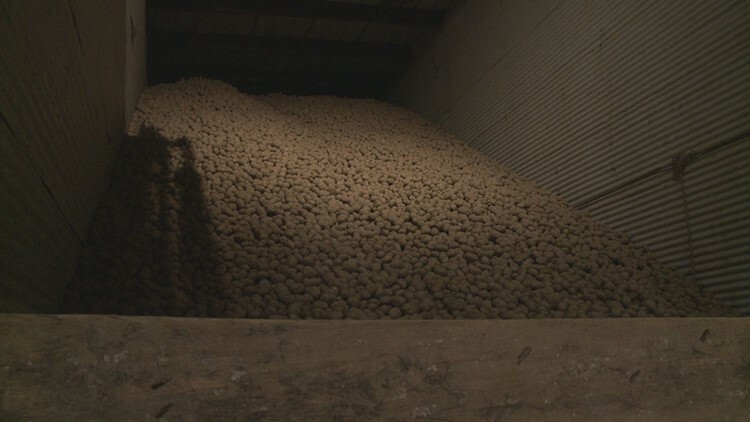 Brent Buck's father founded the farm, "The marketplace has changed as far as where you sell your potatoes and how you do it, from seed to table, and the processing industry is getting larger." Between a changing marketplace, and unpredictable weather, the potato industry can be unforgiving. "We had some extremely hard years in the last 25 to 30 years," says Brent. "Some extreme ups and downs and some farms decided not to continue." So when his nephews came home from college, all four of them knew finding their own place on the farm wouldn't be easy. "We were throwing out ideas of other vegetables we could grow then we started talking about the hops idea and it seemed like a good idea," says Josh Buck; which led the brothers to a tour of a local brewery. "The Brewer was like, 'This is how we make beer and the first step is starting with the barley,' and we were like, 'Oh, we grow all kinds of barley, can we send some down?' And he was like, 'Yeah, just malt it and we will use it.' That's all we have to do? Okay," says Josh. "We quickly realized after some Google searching in the vehicle there was a little more to it than we thought, but it seemed like it was definitely doable." Barley is sorted before it becomes malted. And so began The Maine Malt House, growing inside a building on the property of Buck Farms. "Spring of 2014 is when we started throwing around the idea and at that point this was still full of potatoes," said Jake Buck. "At the end of 2014 we started putting the equipment behind us in place; at the beginning of 2015 we started malting." The business is run by the four Buck brothers: Josh, Jared, Jake and Caleb - all in their twenties. All happy to be home in The County. Two of the brothers are engineers, one other went to school for drafting, and the fourth is trained in residential construction; though all wish they had paid a little more attention to chemistry. "The goal is to get a consistent size kernel so that it germinates consistently and you get the highest alcohol content out of it," Jake explains about one of the machines used for sorting, and constructed on site by the brothers themselves. 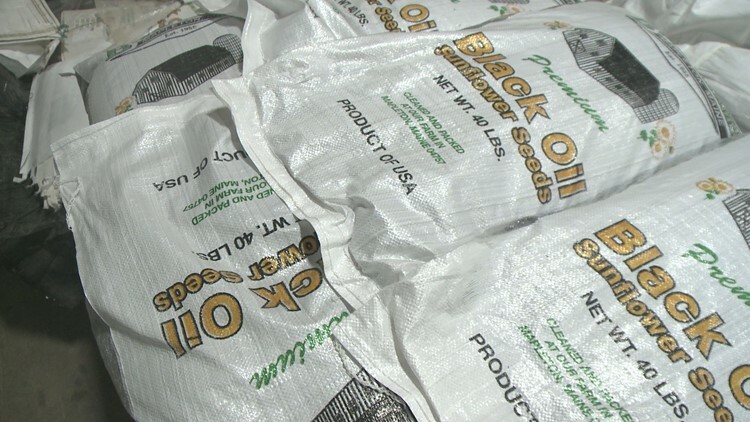 What's leftover through that process has already sparked another side business on the farm. From leftover barley and sunflowers, the Bucks have started a side business selling feed. "Once we installed equipment we realized there was another market to capture, so we started going after the feed side," says Jake. "My uncle Barry and my aunt Martha chase that." Small grains for deer and sunflower seeds all can be sold to other farmers and hunters which, in turn, helps rejuvenate the soil in which the potatoes grow. "The risk is being spread out over several different crops as opposed to just potatoes," explains Brent about the addition of the malt house. 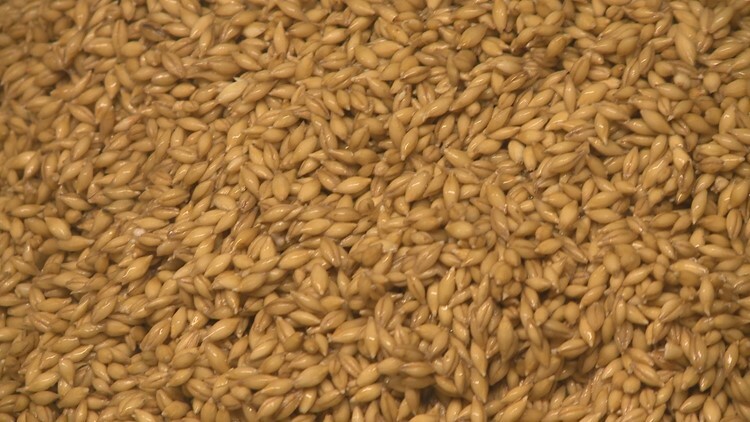 As the beer industry grows, so does the malt business. "We kind of hit capacity 13 months in and then we doubled and we went to capacity immediately as soon as we doubled," says Jake. "We kind of had to run at that until we got our new system put in so we ran that for almost two years we were maxed out." And as the malt business grows, so do the farms around the Bucks, who supply the extra barley - all sorted into separate containers based on quality - which helps the brothers get a consistent product to their customers every single time. There are currently 139 licensed or soon to be breweries in Maine, according to the Maine Brewers' Guild. The Bucks are only supplying to 40 of them, which means there's a whole lot of potential out there. The four Buck Brothers: Josh, Jared, Jake, and Caleb. "Not a lot of people knew we could have quality malt produced right here in the state and so that has helped build traction too," admits Josh. "We can not only hit the quality specs but exceed the quality specs they are looking for... you can taste the county!" ...something these brothers are proud of, as they continue to find new avenues of growth on their family farm. "We’re lucky to be in this business." To learn more about the Maine Malt House or Buck Farms, click here.